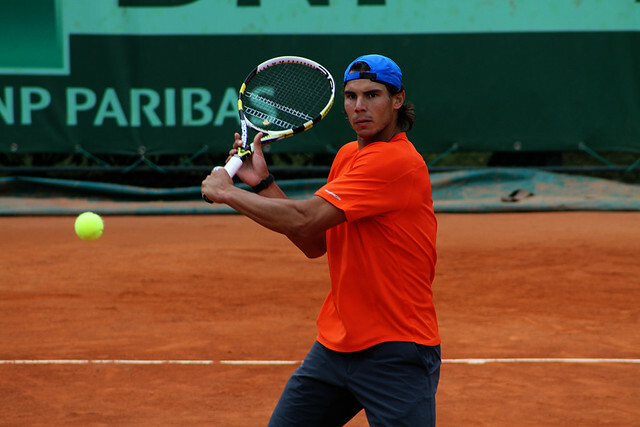 Spain, Serbia, Argentina and France battle this week end for a place in the 2011 Davis Cup final. Spain leads by 1-0 after Rafael Nadal‘s easy win over Richard Gasquet 6-3 6-0 6-1. 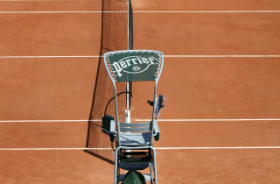 Gasquet lost his serve in the first game of the match and after that there was only one player on the court. And 2-0 for Spain, David Ferrer dispatched Gilles Simon 6-1 6-4 6-1. Llodra and Tsonga totally dominated Spanish heartthrobs Lopez and Verdasco 6-1 6-2 6-0. 2-1 for Spain before the reverse singles on Sunday. Nadal secures Spain’s spot in final, the third in four years, with his win 6-0 6-2 6-4 win over Tsonga. 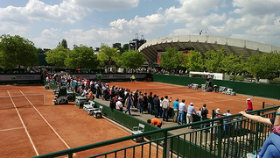 Novak Djokovic pulled out of Serbia’s opening singles match against David Nalbandian. 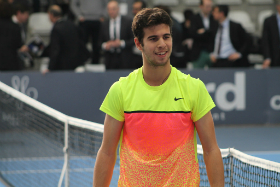 He was replaced by Viktor Troicki. David Nalbandian gave the first point to his team with his four sets win 6-4 4-6 6-2 6-3. 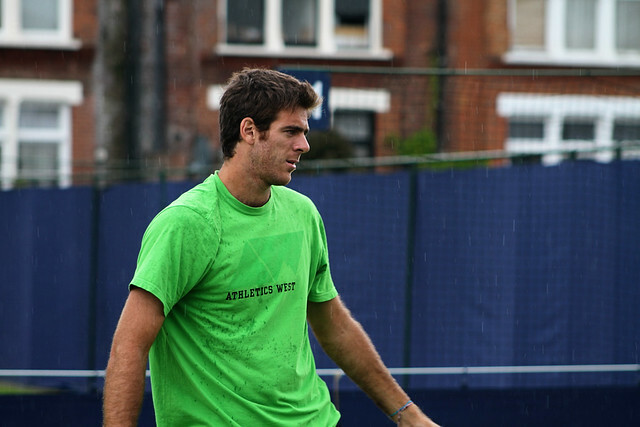 Defending champion Serbia is in big trouble after Janko Tipsarevic’s loss to Juan Martin Del Potro. 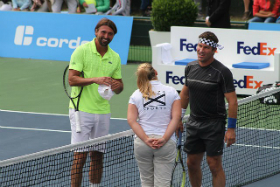 The Serbian team came back to 1-2 after the victory of their doubles team. In the fourth rubber, Novak Djokovic retired, trailing Juan Martin del Potro 6-7 0-3. Argentina will face Spain for a remake of the 2008 Davis Cup final. 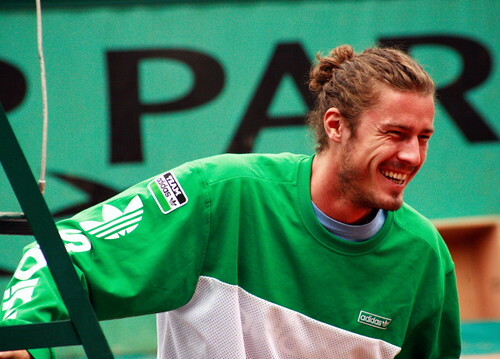 Which team will win the 2011 Davis Cup? 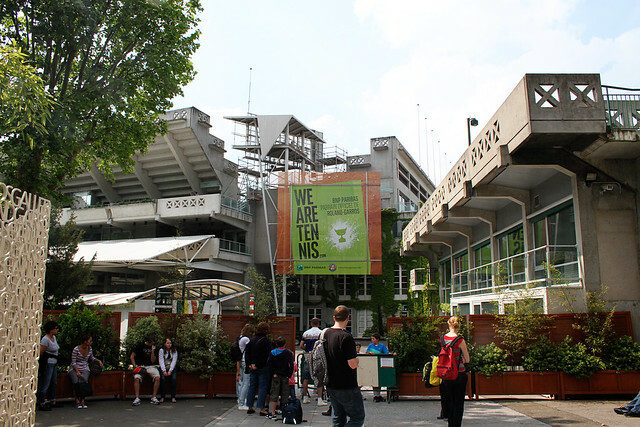 Last Saturday I signed up for a one-hour Roland Garros guided tour. Here is the photo recap. Enjoy! For more infos about bookings, prices and so on, check out the official website of the Museum. At the end of the 60s, this English-Normandy styled cottage served as the office of Pierre Darmon, director of the Roland Garros tournament. At one time, it functioned as the caretaker’s home. 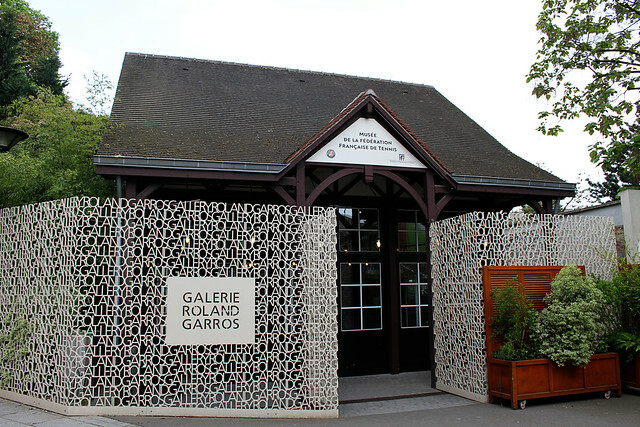 The charm of the cottage was maintained for the entry to the Roland Garros Tenniseum, that Christian Bîmes, president of the FFT (French Tennis Federation), inaugurated on May 25, 2003. This 2,200m² underground multi-media museum assembles, preserves and presents different elements constitute the memory of tennis in France. The museum and its library are open Tuesday to Sunday from 10.00 until 18.00. 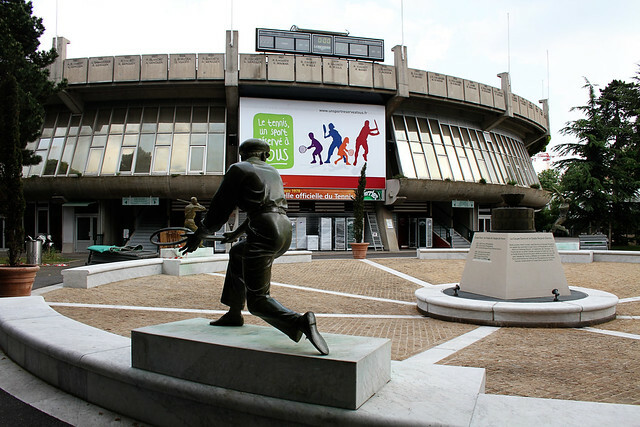 The guided tour begins at the Place des Mousquetaires (Musketeers’ square), situated between the Court Philippe Chatrier and the Court Number One. 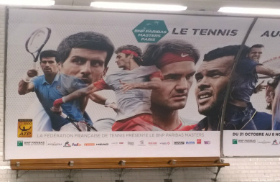 Places in Davis Cup semifinals are up for grab this week-end. 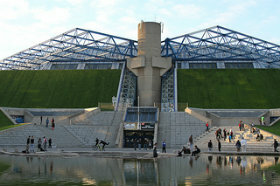 France selected a fast indoor hard court to receive 2009 Davis Cup champion Spain. 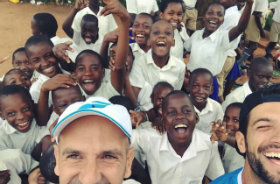 But spanish players proved they can play well on any surface and are confident they can qualify even without their best player, Rafael Nadal. 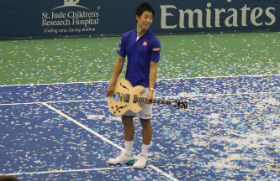 The recent Wimbledon champion is having a treatment on his right knee, the same treatement he had earlier this year on his left knee, in an effort to make sure the on-going problems he has suffered the last three years are just bad memories. France will also be without its best player, Jo-Wilfried Tsonga who has pulled out this Davis Cup quarterfinal with a left knee injury.. Richard Gasquet, who had been selected as an alternate, has also been ruled out, because of back pain.